Coleslaw is a great compliment to many dishes – or even as a stand alone dish. ‘Slaw is versatile, can be made all year round and the recipe can be amended according to taste or dietary preferences. 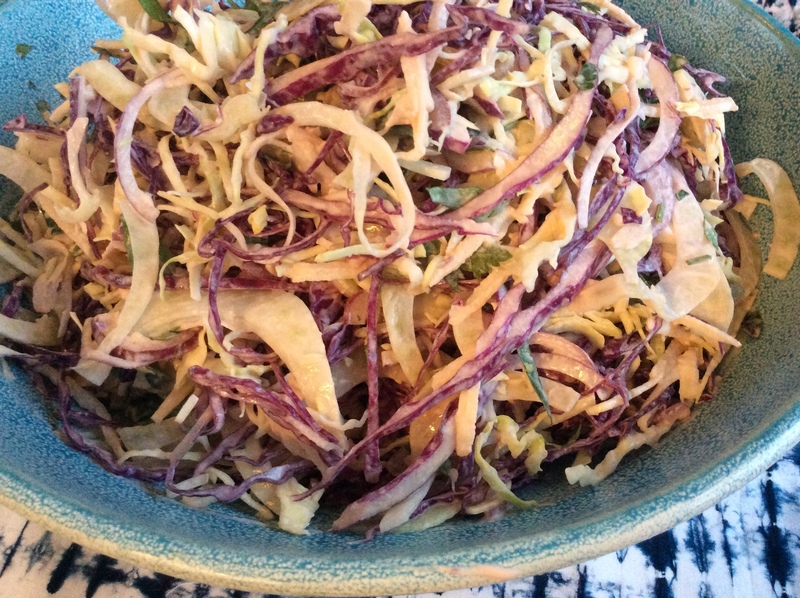 Coleslaw is a great dish to make when it isn’t quite warm enough to transition to spring salads, but this recipe is equally as good as an accompaniment to bbq. 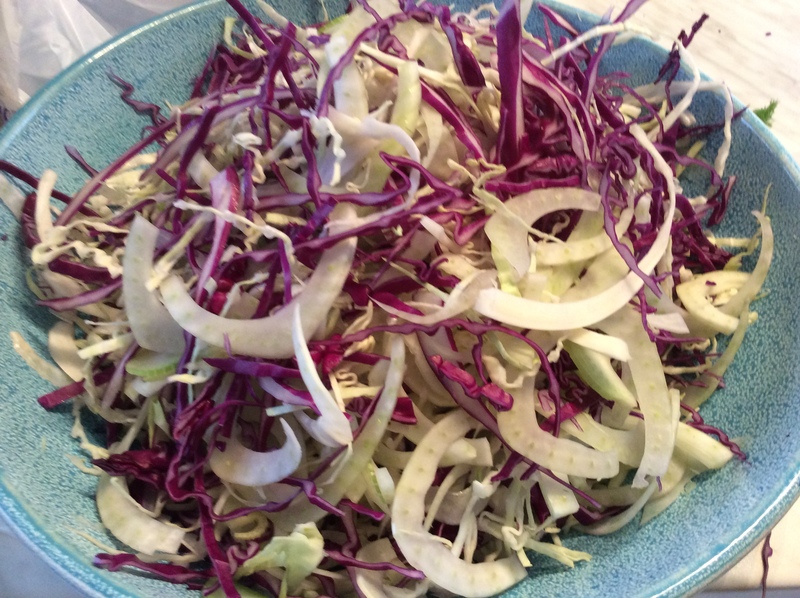 I have been making this coleslaw quite a bit over the last few weeks. It uses fresh seasonal produce, which at this time of the year means fennel, cabbage (purple and white), brussel sprouts and the list goes on. We often use yoghurt instead of sour cream – with the end result being just as delicious. We had this to accompany roast pork a couple of weeks ago, and more recently we had it with pan fried fish and kumara wedges. It also is pretty fantastic in burgers. Very finely slice the cabbage and place in a mixing bowl, you could use a mandolin if you have one, or run it through a food processor with the fine slicing blade. Add salt and pepper and chopped parsley. Pour over the coleslaw mixture and mix well, let stand for 10 minutes before serving. Makes approximately 5 cups or enough for 4 people (as a side dish). When you get given lemons…make lemonade or?